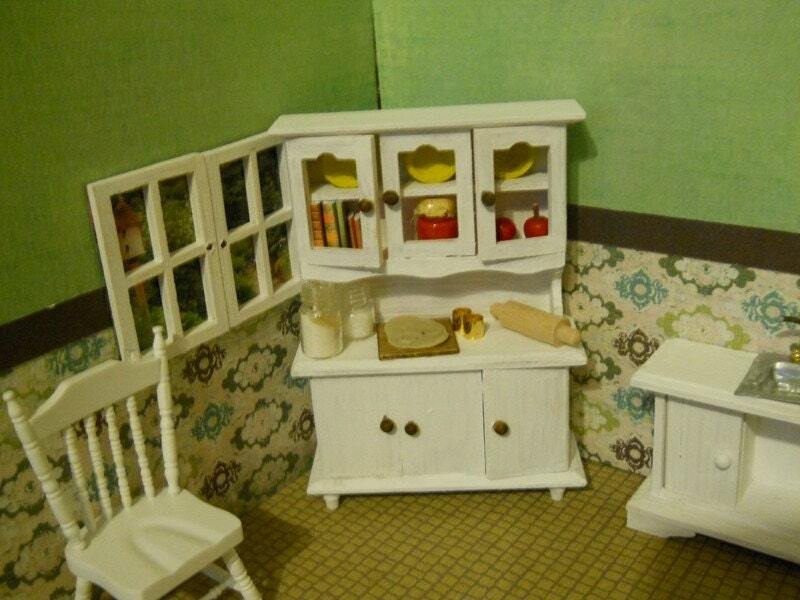 Are your little girls fond of playing dolls and dollhouse? Well look at this one? It caught my fancy when I browsed upon this page. Well my girls are growing up fast now and maybe they would not want to play with it anymore but they want this for keepsake only and for display in their room. Well I've read that it's actually for adults and not for children under 12 yrs. It shows a work-in-progress baking scene -- with cookie cutters, rolling pin, flour and sugar in process. On the shelves are bowls, a jar of jam and some cookbooks. All of the items are fixed in place. This item is for the hutch only and the other furniture is for display inspirations only.